JCI - West Nile virus: a growing concern? 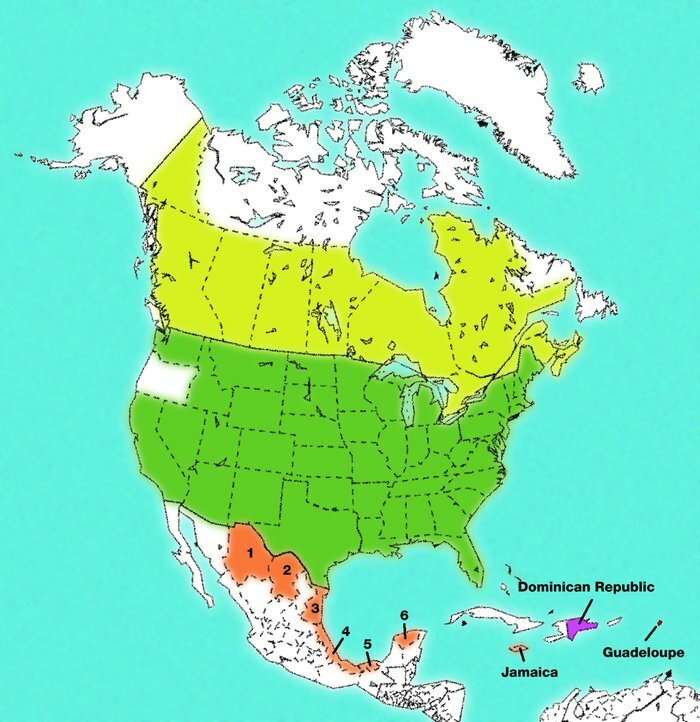 WNV activity in North America as of January 2004. Shading represents areas in which virus activity has been recorded. 1, Chihuahua; 2, Coahuila; 3, Tamaulipas; 4, Veracruz; 5, Tabasco; 6, Yucatan.